Black sheep festival is the baby of Zrće beach summer festivals as 2018 will be the 3rd edition of this festival. But the two successful editions before have proved that a newbie can be more than equal to the well-established festivals. 2017 and 2018 set the roof on fire with a choice of some new and some evergreen DJ’s such as Oliver Heldens, Tchami and Yellow Claw, Bingo Players and Nikki Romero. A good EDM lovers choice that proved right for Black Sheep Festival. The 2019 edition promises to be a step up! The line-up for this year is yet to be announced, but you can expect it to be just as banging, with even more picturesque scenography, top-notch production and the spectacular atmosphere of Zrće’s best clubs – Papaya, Noa, Aquarius and Calypso. 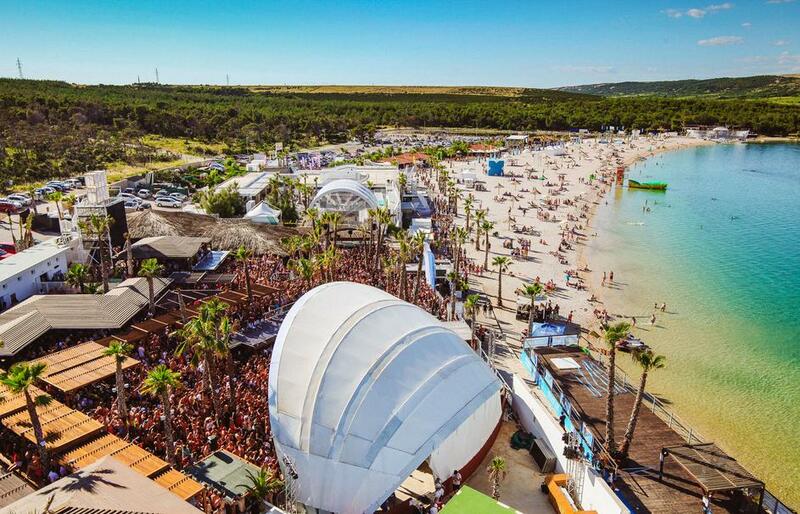 Black Sheep Festival's success is partly owed to the amazing setting of Zrće beach – Europe’s most popular beach is known for its clear blue waters and a steady delivery of pure music hedonism.